I live in Phoenix and am having a 3' x 6' x 12" high raised garden made with legs. So there will be a bottom. Two questions, please. 1) I'm going to use Mel's Potting Soil. Do I have to use the soil to the 12" depth or can I put in garden soil on the bottom 1/3 for example, and Mel's on the top 2/3? (trying to keep the cost down). Secondly, should I install a liner on the bottom of the box that will have the water drain to a hole for dripping out. The man building it says that's the way to do it, and it just seems that I don't need a liner. Thank you SO much for your help! Hi Lindy, Welcome to the SFG Forum from California! 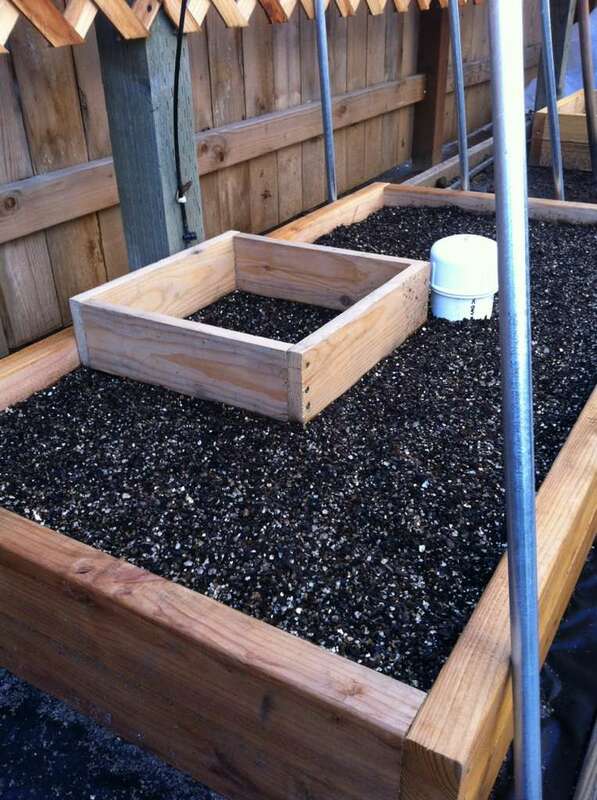 All New Square Foot Gardening is perfect for hot summer climates. Where I live in Cal we have hot, dry spells for weeks at 100*F or more. With a couple inches of mulch on top, the Mel's Mix stays cool and moist, saving water and the plants from stress. Before you continue building (having it built) the raised bed, I strongly recommend that you read the book, All New Square Foot Gardening, 1st or 2nd Edition, by Mel Bartholomew. The box will need holes drilled and weed fabric on the bottom will keep the mix from draining out the holes with the water. One hole in the middle of each square foot and one in each of the 4 corners (22 holes at least 1/2" in diameter). The Mel's Mix is rather expensive to just lose it if you don't have to. Is there a reason you are buiding it 12" deep? You only need a good 6" of Mel's mix plus 2 inches of mulch to grow everything except long roots like carrots, parsnips, sweet potatoes, potatoes and some other special crops. After you read the book, you may have some (lots) of questions. In hot zones, 8" high cinder blocks can be used with great success. Again, weed fabric on the bottom. Best of luck. Please don't hesitate to ask more questions. We are here to help. Thank you for your response! I will get the book as you suggest. I was thinking that the box needed to be 12" deep because of deep rooting vegetables that I'd like to grow: tomatoes, peppers, beets. I would definitely prefer building an 8 -10" deep box, using less Mel's Mix. But does that eliminate me growing the deeper rooted vegetables? Thank you! You can make or purchase a "top hat," which basically is one square foot made of 6" lumber, no bottom. 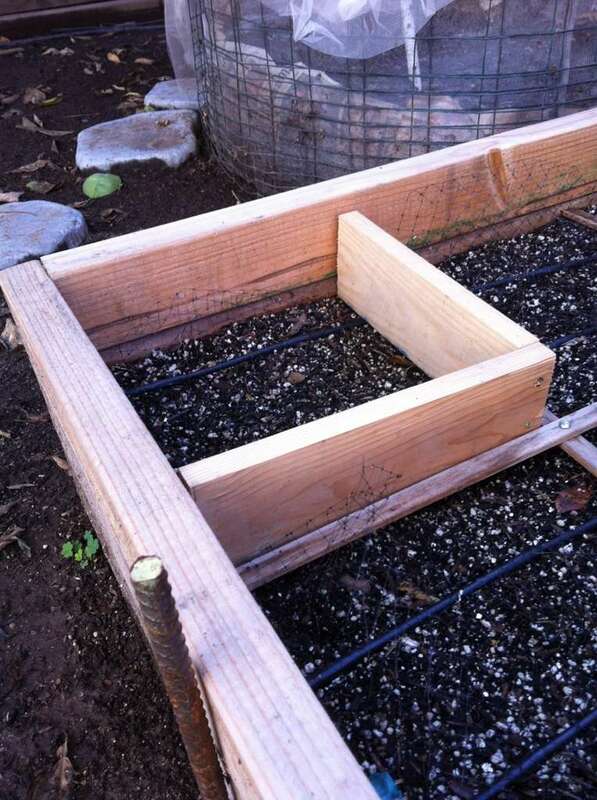 Then, just set it/them atop the squares in which you are growing those root veggies. Note: beets and tomatoes do not require that much depth. Generally speaking, 6" of Mel's Mix suffices for all but a few crops, including leeks, potatoes, sweet potatoes, and longer varieties of carrot. Good luck, and please keep us posted on your garden's progress! from the snowy and cold Northesast this morning. Its always nice to have another gardener on the forum.